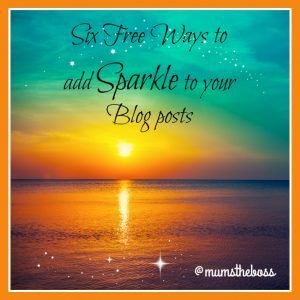 Following on from my tips to create perfect blog posts last week, here are some tools to help you add a bit of pzazz to each post. Create PDF files with Google DocsPDFs have been around a while now but this format is still widely used for text-based documents such as reports and e-books. You can also use this format to make printables, checklists, worksheets and planners.Gone are the days when you needed Microsoft Word plus PDF converter software. You can now create your document and convert it to PDF format in one application for free. All you need is a Google account (a Gmail account is fine) and to go to Google Drive.Now you’re in Google Drive, click ‘New’ and choose ‘Docs’. Type your content, add any images you would like and then go to ‘File’, then ‘Download as’ then ‘PDF document’. Easy.So now you can turn your blog posts into beautiful takeaway content that people can print and use. This is great for recipes, lists of tips and similar. People seem to love free printables. Use Google Slides for presentationsLet’s stay with Google Drive, because alongside Google Docs you’ll find Google Slides, which is Google’s equivalent of PowerPoint. Erase your memories of boring speakers reading a bullet-pointed list off a PowerPoint slide because presentation files can now be valuable pieces of online content. Just save your presentation file, upload to Slideshare.com and then share or embed it in a blog post or web page.But back to Google Slides. Simply go to Google Drive, click ‘New’ and this time choose ‘Google Slides’. Create your presentation and download in your choice of format, including PowerPoint or PDF. You can even download in JPG format, which makes it easy to turn your first slide into an image for your blog post or a video. So you don’t have Photoshop or the skills to use it? Don’t worry, there are plenty of ways of making stunning graphics without the need for professional software or graphic design skills. That’s just as well, because you’re going to need images – and lots of them! Some platforms – such as Instagram and Pinterest- are all about the images. But you’ll also need images for blog posts, Facebook and Twitter posts, e-book and report covers and even video thumbnail images. You can create impressive images fast using Picmonkey or Canva. Both tools come with tutorials, but they are designed to be intuitive to use so you should be up and running in no time. Infographics are images that display data in a visual form. Although they take a little time to create, they’re worth the effort if you have complex information to get across. There are several free tools you can use to make infographics, try Canva’s Infographic Creator , Infogram or Easel.ly. Video editing doesn’t have to be complicated or expensive. Windows Movie Maker was the best-known free video editor for the PC, although it hasn’t been updated in some time so may no longer work for you. YouTube has its own free editing tool complete with video and audio clips – take a look at www.youtube.com/editor. If you’re a Mac, iPad or iPhone user, take a look at iMovie. For Android devices there are a range of free video editors including VidTrim and FilmoraGo. You don’t need a large budget to create stunning content. Just a clear idea of what your audience wants to know, a little creativity and some free tools. 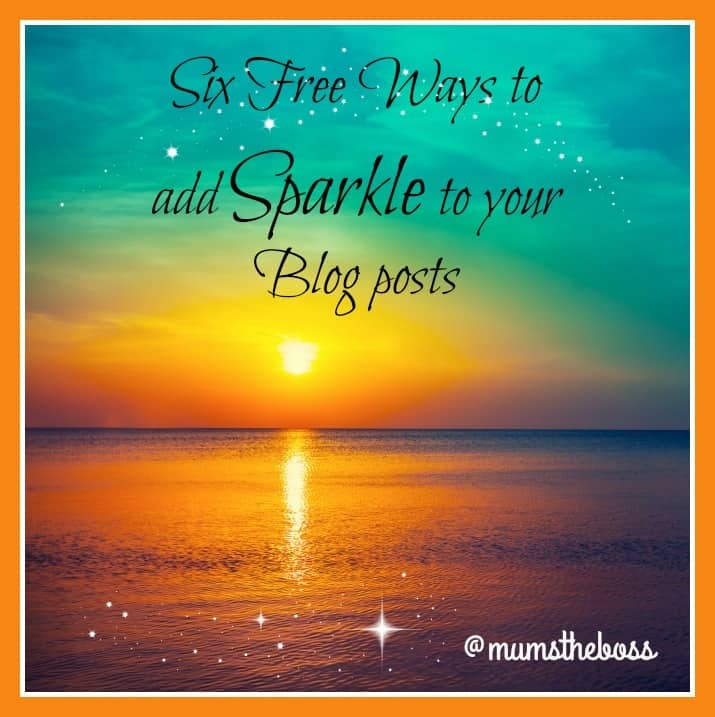 Do you have any favourite tools to help you add interest to your blog posts? Let me know in the comments below. Mum, thank you sharing this. I didn’t know you can create PDF’s with Google Docs. I will have to check into that.